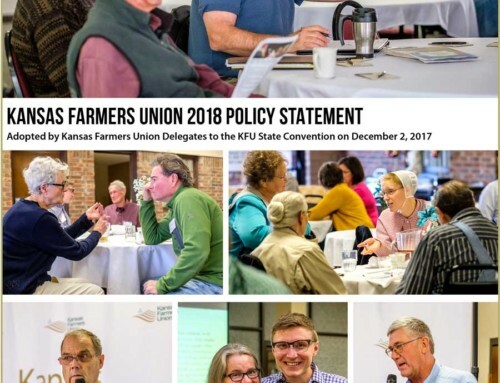 KFU President Donn Teske and Farmers Union members from across the state will attend National Farmers Union’s annual Legislative Fly-In September 7-10 in Washington, D.C.
NFU organizes legislative fly-ins when vital issues come before Congress for a vote. 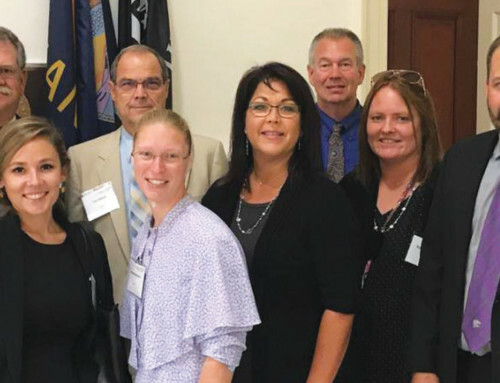 These visits provide an excellent opportunity for producers to tell lawmakers firsthand how current government policy impacts them and others in their area. 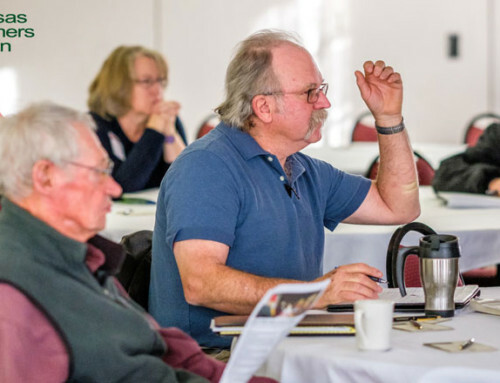 Fly-in participants can share a personal story and put a human face on how decisions in Washington, D.C., affect both producers and consumers across the United States. 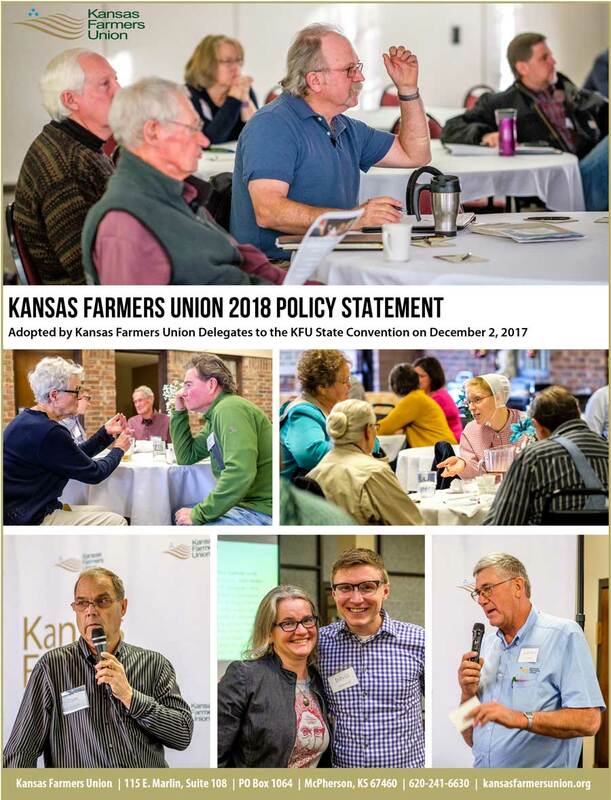 Along with President Teske, attendees from Kansas include Richard Boxum of Downs, Matt Dowell of Belleville, Kevin Dubbert of McPherson, Nick Levendofsky of Courtland, and Matt and Leah Ubel of Onaga. 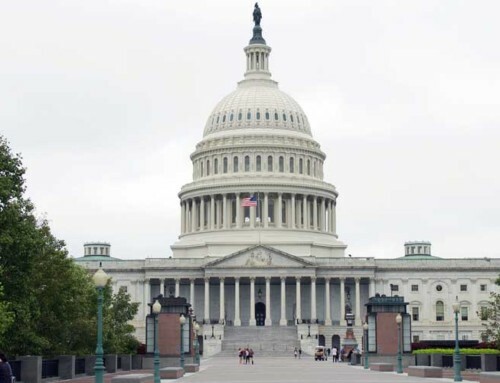 The issues discussed during fly-in will focus primarily on implementation of the 2014 Farm Bill. 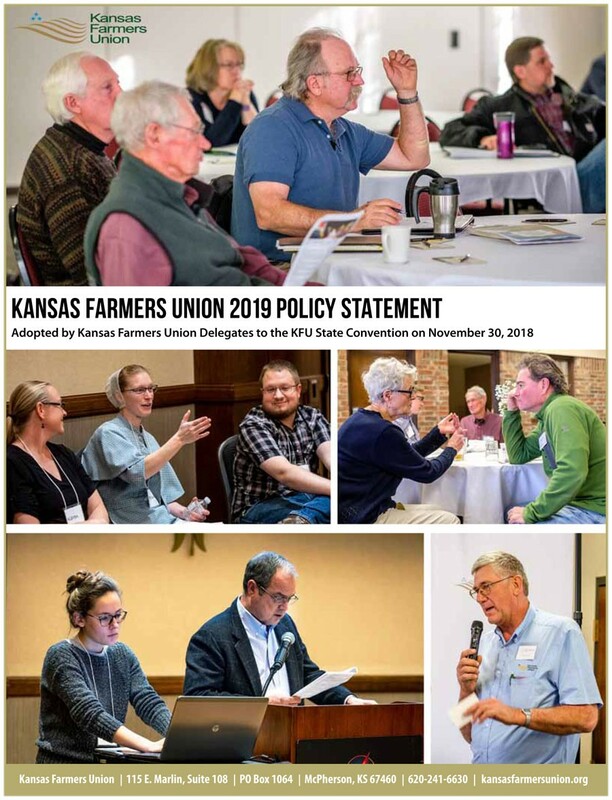 Since the passage of the farm bill on February 7, 2014, there has been no shortage of agricultural issues that have been debated in Washington, D.C. Congress and the executive branch are both actively considering important policy changes that would have a profound impact on family farmers and ranchers. Late summer is upon us, and elected officials are currently spending time with their constituents in advance of the November mid-term elections, so now is the time to speak up and make our voices heard. Country-of-Origin Labeling (COOL) requires that muscle cuts of meat sold in retail must have a label denoting their country of origin. The law, first passed in the 2002 Farm Bill and again in 2008, has been in effect since 2009. Since passage, the law has been challenged by multinational meat packers as well as several foreign competitors, who prefer – for whatever reason – to keep consumers in the dark regarding the origin of the meat products they purchase. Farmers and ranchers are very supportive of COOL because they are proud of what they produce and want consumers to know the origins of the meat they purchase. Consumers love COOL, with a May 2013 poll showing that more than 90 percent of them support the popular labeling law. Domestically, the meat packers and our foreign competitors have sued in federal court to stop USDA from implementing rules about COOL. Opponents of COOL have lost 3 consecutive times – as recently as July 2014 – and NFU called for an end to the lawsuits and to allow the popular labeling law to move forward. On the international front, COOL is being challenged by Canada and Mexico through the World Trade Organization (WTO). The WTO’s Dispute Settlement Body found in 2012 that COOL law is WTO-legal, but that the way in which it was implemented was not. Keeping with our obligations to the WTO, the U.S. changed the labeling requirements to include where the animal was born, raised and slaughtered. WTO will soon issue its initial findings on the new label. Finally, there are some in Congress who are pressing for changes in COOL to combine U.S., Mexican, and Canadian products into the umbrella label of “North America.” That would be a big mistake. So would repealing the law altogether. When we visit members of Congress, we’ll stress that any effort to amend or hamstring COOL – through legislation or appropriations – is an assault on consumers and their right to know. Do not change COOL- the COOL law was passed as part of both the 2002 and 2008 Farm Bills, and the 2014 Farm Bill allowed the labeling to proceed. COOL has been embraced by the vast majority of consumers and producers. We stand strong on its implementation, and we expect Congress to stand with us. The Renewable Fuel Standard (RFS) is our nation’s main policy driver for renewable fuels. It requires that 36 billion gallons of renewable fuel be blended into the nation’s fuel supply by 2022. The RFS is good for the economy, our nation’s energy security and the environment. We’ll ask Congress to oppose legislative changes to the RFS and reject the EPA’s flawed proposal for 2014 blending targets. We are just halfway through the lifespan of the RFS, and the industry is poised to grow further. We will also urge the Environmental Protection Agency (EPA) to stay the course on the RFS. 2014 will continue to see congressional interest in trade issues. At stake is the ongoing negotiation of the Trans-Pacific Partnership (TPP), an agreement the U.S. is negotiating with 11 other countries in the Asia-Pacific region. As with other failed trade agreements, USTR and free trade allies in Congress have promised increased access for U.S. products in foreign markets. However, if history is the judge, America will be left with an even larger trade deficit and in-creased foreign trade imbalance with countries that manipulate their currencies in order to flood the U.S. with cheap, sub-standard products. The chart below shows the impact of our trade deficit on the U.S. economy. In addition to the pending TPP agreement, Congress will debate whether to grant the president Trade Promotion Authority (TPA), also known as “fast track.” TPA allows the administration to negotiate trade deals without Congress’ input. Once a deal is negotiated, Congress will take an up or down vote on the agreement. We’ll ask Congress to ensure U.S. trade negotiators seek to achieve an overall balance of payments, eliminate trade deficits, and reduce foreign debt. We also want Congress to ensure strong enforceable provisions prohibiting currency manipulation in the Trans-Pacific Partnership. Our final ask is that Congress not support TPP in its current form. 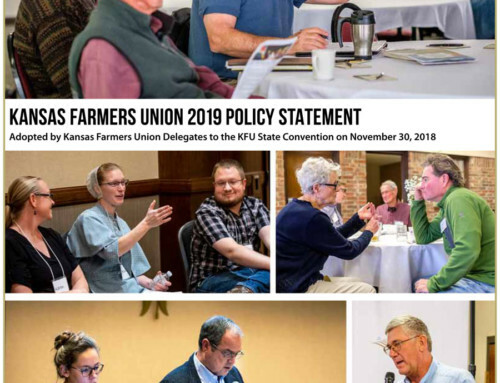 Rail Issues in the Midwest Farmers are considered “captive shippers,” in instances where they only have one railroad as an option and competitive market structures do not exist. Producers across the nation are worried about the willingness and ability of Burlington Northern Santa Fe Corporation (BNSF) and Canadian Pacific Railway (CP) to deliver last year’s crop to market in order to make room for this year’s crop. There are nearly month-long delays of shipments and farmers are completely at the mercy of the railroads. Despite a June 20, 2014 order by the Surface Transportation Board (STB) requesting weekly status updates from BNSF and CP, not much has changed. The lack of railcars at elevators leads to delays and additional costs that the elevators pass down to farmers. Despite claims from BNSF that they are reducing delays, the chart below shows that delays are actually increasing in Minnesota, Montana, North Dakota and South Dakota. In fact, 95 percent of delays come from this region. When we visit members of Congress, we’ll remind them farmers need an affordable, accessible and reliable transportation system. It’s important we bring attention to this issue. Congressional hearings, letters to STB and direct meetings with STB officials and the railroads should be prioritized. We’ll also call on Canadian Pacific Railway to provide more details on how they plan to bring last year’s crop to market. 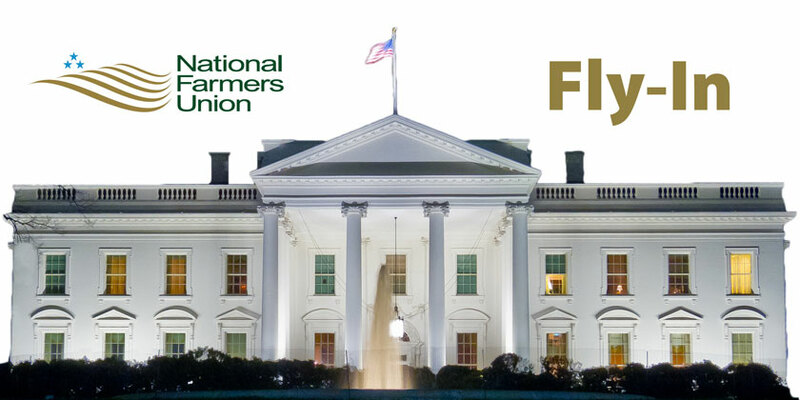 Along with the 541 office visits on Capitol Hill, NFU has arranged for a USDA briefing on Monday, Sept. 8 where we’ll hear from Secretary Tom Vilsack along with numerous deputy secretaries. Later in the day, groups will split off for potential White House and Congressional briefings. National Farmers Union’s NATFARMPAC Reception will be held Tuesday evening at the Mott House. This reception is a time for NFU members to recognize Senators and members of Congress by presenting them the Golden Triangle Award, the organization’s highest legislative honor. The annual award is presented to members of Congress who have demonstrated leadership and support policies that benefit America’s family farmers, ranchers, fishermen and rural communities. The Golden Triangle Award is based on NFU’s symbol – a triangle with “legislation” and “cooperation” forming the sides and “education” the base. The Golden Triangle Awards have been presented every year since 1988.